Garden Grove, Calif. Apr. 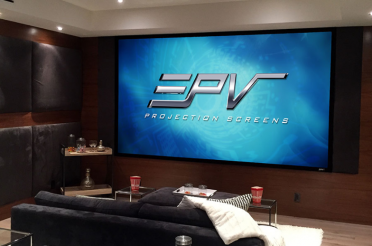 11, 2019 — Elite ProAV, Inc. an innovative company that specializes in quality projection screens, today announced that its Saker Tab-Tension electric projector screen now features the CineGrey 5D® ambient light rejecting (ALR) and ceiling light rejecting CLR® – S Material. This is a high (1.5) gain 3D-2D projection material tough enough to come in a retractable tab-tensioned format. Elite ProAV’s Saker Tab-Tension CineGrey 5D® projection screen merges the qualities of an ambient light rejecting (ALR) projector screen material with that of a manually retractable format. ALR projection screens enhance picture quality with brighter imagery and more defined contrast levels. However, its greatest value comes from its ability to counter the “wash out” effect of ambient light. 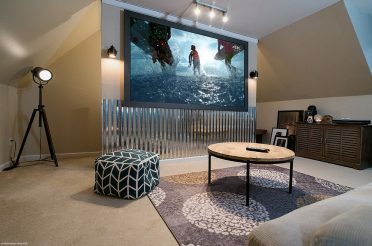 This is something highly valued since a larger-than-life projection display can now replace large TV panels at a fraction of the cost even in a brightly lit room. The CineGrey 5D® is a .35mm thick PVC material that comprises of a silver-gray reflective textured surface with a tinted diffusion layer. It is a 1.5 gain material is also ISF certified for its ability to achieve D65 color neutrality, superb contrast and dynamic range bringing a world class performance to any installation. It is available in a 16:9 aspect ratio with 100”, 120”, 135”, and 150” sizes available. This also includes with extra drop borders for high ceiling installations. This angular-reflective material is ideal for use with table or ceiling-mounted projectors in either a residential or business environment. Its 110° overall half-gain angle makes it ideal for theater-style seating while it both enhances picture brightness while retaining 88% polarization during 3D presentations. For added flatness, a precision-made tab-tension system with side-cords running along the screen’s sides ensures that the CineGrey 5D® Manual Tab-Tension presents a perfectly flat projection surface. The screen drops and rises using a powerful and fast-acting tubular motor. An installation kit along with full IR/RF control package is included. This also includes a detachable 3-way (up/stop/down) wall switch as well as a 5-12v trigger to coordinate the screen’s drop and rise with the projector’s power cycle. Lastly, the design incorporates an RJ45 port allowing the end user to incorporate 3rd party control system integration if needed. Elite ProAV’s Saker Tab Tension CineGrey 5D® Projection Screen and is available through the dedicated System Integrator (ProAV) channel in a 16:9 aspect ratio wit 100”, 120”, 135”, and 150” sizes available. This also includes with extra drop borders for high ceiling installations. It comes with Elite ProAV’s 5-year manufacturer’s warranty plus an ENR-G 5% discount for purchases through Educational, Non-Profit, Religious and Government/Military organizations. 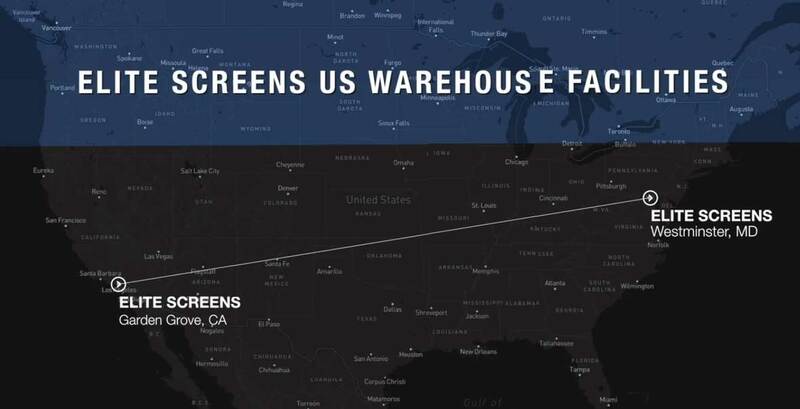 Fast fulfillment and shipping: Elite has regional warehouses in California and Maryland. This means your order can be fulfilled and delivered to you in as little as 3-days using standard ground services. 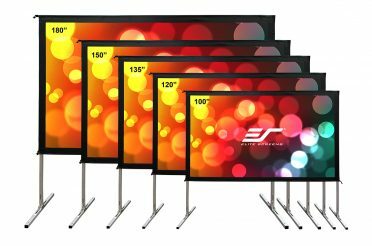 Elite ProAV® is a dedicated manufacturer of projector screens for the commercial AV sales channel. It provides an array of dedicated commercial grade projector screens for professional integrators. This includes certified products that are also compatible with building codes as well as programs, warranties and trained professionals to assist installers every step of the way. Product is available through a series of regional warehouses located in Southern California and Maryland. 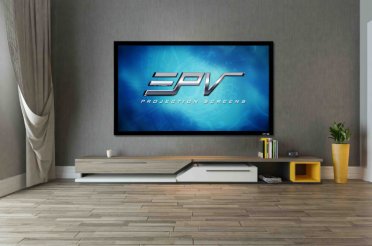 Elite ProAV® is a division of Elite Screens Inc., an ISO9001:2015 certified manufacturer that is presently the leading international brand of CE Retail projector screens with offices located worldwide. Elite ProAV® is headquartered at 12282 Knott St. Garden Grove, CA 92841. For more information, please call 877-511-1211 or visit www.eliteproav.com .